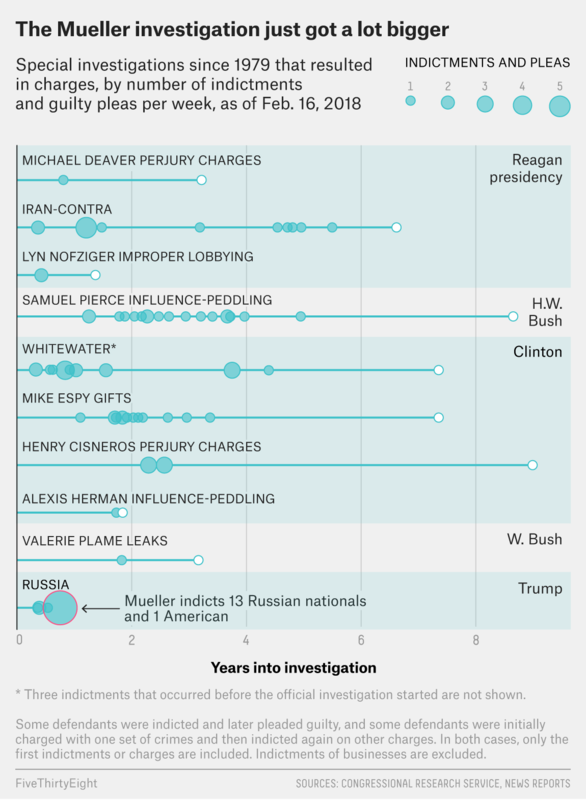 Our analysis of special counsel probes in the modern era, starting in 1979,1 puts Mueller’s investigation in select company for producing criminal charges at all — a majority of the investigations over the past four decades ended without charges being filed against anyone. The total number of individuals charged in the investigation is now up to 18,2 including an indictment and two guilty pleas from last fall. One of the defendants from last fall, Rick Gates, is reportedly finalizing a plea deal, which would signal that he’s ready to cooperate with the investigation.